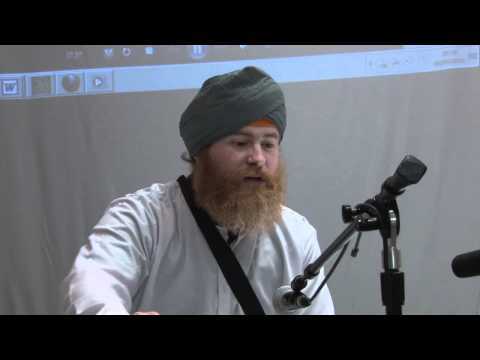 How can one convert to Sikhism? Sikhism is a way to live a wholesome and perfect spiritually balanced life whilst living in the wider society. It’s a complete form of life. “Sikh” literally means “learner” or “seeker of Truth”. The Sikh faith emphasises on healthy living. Sikhs are vegetarians, abstain from alcohol and tobacco, and generally practice two hours of devotional meditation every morning. Sikhs are also encouraged to make charitable contributions and fight injustices. Being a Sikh is a continual process of learning, developing and evolving with the Guru’s Grace. It is based on very true and very real inner reality, which is very real to the individual. More than anything else, it teaches discipline in life. It is based on the simple belief of one God. And God is inside you. When there’s one God and when you live on simple beliefs, you begin to see a lot of things that make life enjoyable. Being a Sikh is learning to be a better person, to help other people to serve humanity. Most non-Sikhs don’t convert to Sikhism just like that; it can be a slow process. Following the Path of Sikhism is falling in love with your soul and God. Anything worthy of accomplishing in life requires dedication, motivation, sacrifice, strength and commitment. However, following this Path with love and dedication you reap the sweet reward of happiness, peace and fulfilment. Conversion perhaps is an inappropriate term, rather one one evolves or one is transformed into a Sikh. 1. One’s lifestyle should be “Sikh”. In the first phase, some people become vegetarians and give up intoxicants (drugs, alcohol, tobacco etc). They start reciting and reading translations of Gurbani (the sacred writings of the Gurus) but don’t wear turban or grow beards. Some men and women slowly stop cutting their hair, disregard body piercings and adulterations of the body, and begin to wear a turban (the spiritual crown, which reminds one that he or she is sitting on the throne of consciousness). Some people can take up to 10 years in this process, while some change quickly. The time of adapting the lifestyle to the Sikh lifestyle and achieving the conscious state of being a human being as described by Guru Nanak which can put the individual in touch with God depends on each individual. Having a good foundation of living the lifestyle of a Sikh and introducing oneself to the study and contemplation of Guru Granth Sahib’s sacred hymns and Sikh history is advised before taking the commitment to becoming initiated through the “Amrit ceremony”. There are many resources available to learn and discover about the Sikh Gurus teachings and history on websites such as www.SikhAnswers.com, www.SikhNet.com, www.AllAboutSikhs.com, www.SriGranth.org and www.DiscoverSikhi.com. Furthermore, it is important to find the company of like-minded souls on the same spiritual path. Doing company with committed and disciplined Sikhs and attending the holy congregation (“Sangat”) is an integral part of the Sikh lifestyle. Find your local Gurdwara so that your local community of Sikhs can help, support and guide you in your spiritual path. You have to be disciplined to enjoy the benefits of all what the Sikh faith stands for. When you are ready to fully commit your mind, body and soul to being a disciple of Guru Granth Sahib & the Khalsa and live a life of high consciousness living in remembrance of the Divine then you know are ready to ask for the gift of being blessed with initiation in the “Amrit ceremony”. For help or assistance in finding a Gurdwara or Sikh community near you or provide details of an “Amrit ceremony” please feel free to contact SikhAnswers via the contact page on the site. « Can we chant Guru Nanak Ji’s name as the Naam Japnaa? Hello! I’ve been following the Sikh traditions for sometime now and I want to know what it would take to convert to Sikhism. I currently attend a Gudwara in Union City California. I’m not sure if this is important in someway or not but I am also a white American male. Spiritually and philosophically this is where I feel at home. Thank you again for your time and if there’s any other questions I could answer I would be more than happy to. Im in a long term relationship with an Sikh man, we are going to be married. Although i feel.i should make the changes nesasery out of my love & devotion to him, we are already one and together, however i feel it should have a deeper meaning possibly be blessed..
Any information & advice would be great.. I am from New Delhi. Studied for 1 year in Guru Harkrishan Public School and since then i am very attracted toward Sikhism. After watching my eagerness toward Sikhism my parents got me out from the school. Since than i am curious to learn sikhism and want to convert to Sikh. I am a Hindu but i want to convert into Sikh. Can anyone please help me. I have no body to help and guide me. I study the Sikh faith and have done for 4 years and really feel it where my heart and soul . and wish to become a Sikh. I live in West Midlands in Wolverhampton.